Recently, it came to me that pretty much every recipe I have begins with an onion. I can almost not think of any meal that doesnt have onion in it. What does that mean for the garden, and our goal to grow as much of our own food as possible? B. I may need more than one onion a day. I better plant extra! I would say 25% extra. That means I should be planting about 455 onion plants. So, as I plan out the garden for this spring, I will be dedicating a large area for onions. I dont know why it took me so long to think about it like this. 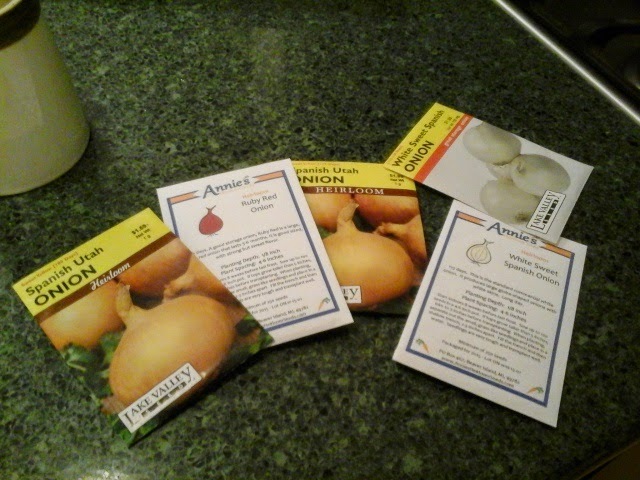 But anyway, the goal for this year's garden is ONION INDEPENDENCE -to grow enough onions for storage that I will not have to buy any from the store. Its a big goal. But just think of the savings for our grocery bill if I grow enough of that one thing that we use every day. Weather: cold! I think it only got up to about 17 today. Welcome Spring! What's up with this snow?